Are we to be doomed by smart machines? Editor's Note: A distinguished group of researchers will convene soon to discuss the possibility of self-aware and generally intelligent machines acting in ways that endanger human existence. This article touches upon some of the specific danger they will address. An invasion led by artificially intelligent machines. Conscious computers. A smartphone virus so smart that it can start mimicking you. You might think that such scenarios are laughably futuristic, but some of the world's leading artificial intelligence (AI) researchers are concerned enough about the potential impact of advances in AI that they have been discussing the risks over the past year. Now they have revealed their conclusions. Until now, research in artificial intelligence has been mainly occupied by myriad basic challenges that have turned out to be very complex, such as teaching machines to distinguish between everyday objects. Human-level artificial intelligence or self-evolving machines were seen as long-term, abstract goals not yet ready for serious consideration. At the moment such systems only advise or assist humans, but the AAAI panel warns that the day is not far off when machines could have far greater ability to make and execute decisions on their own, albeit within a narrow range of expertise. 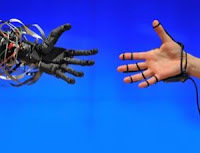 Now, for the first time, a panel of 25 AI scientists, roboticists, and ethical and legal scholars has been convened to address these issues, under the auspices of the Association for the Advancement of Artificial Intelligence (AAAI) in Menlo Park, California. It looked at the feasibility and ramifications of seemingly far-fetched ideas, such as the possibility of the internet becoming self-aware.